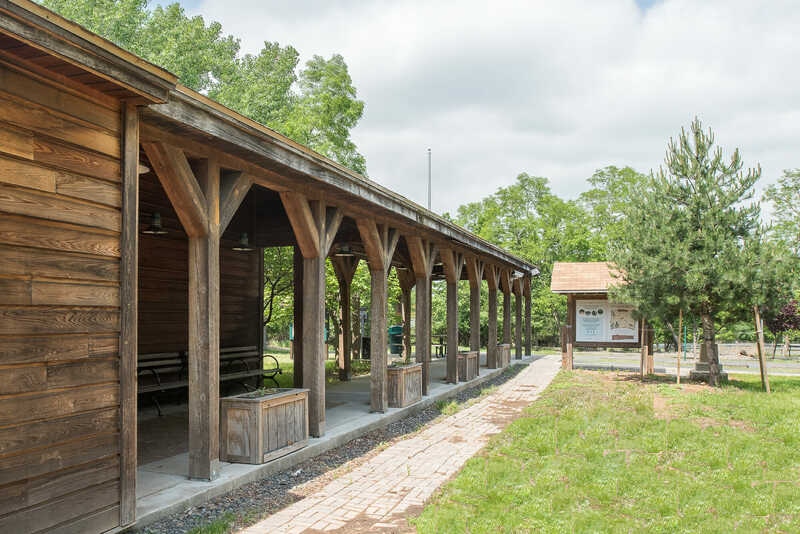 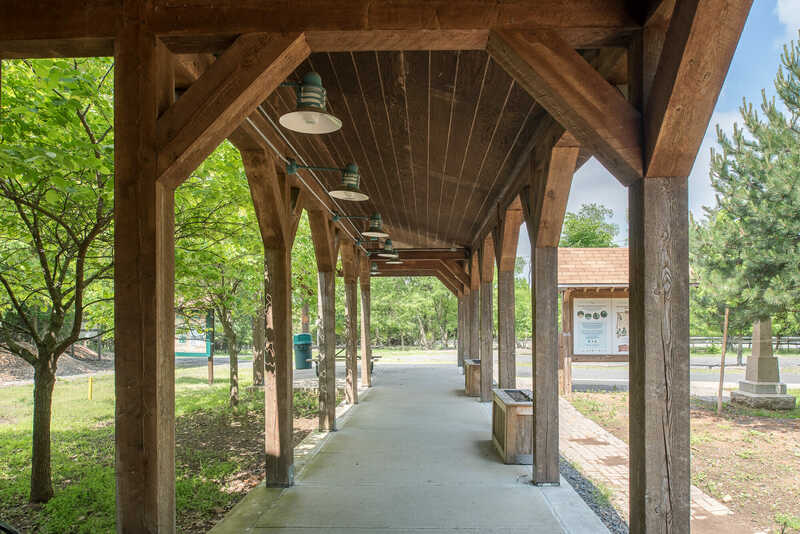 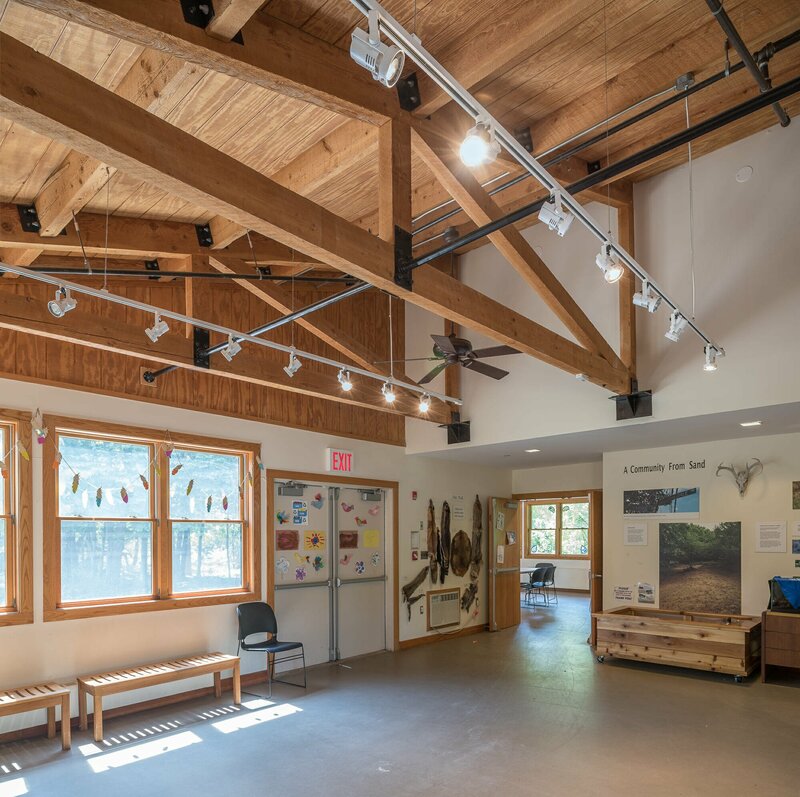 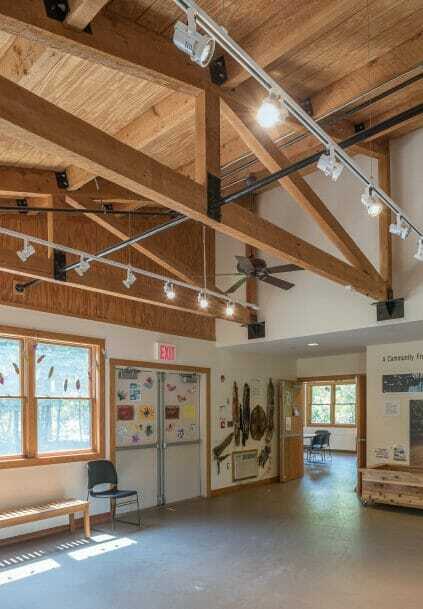 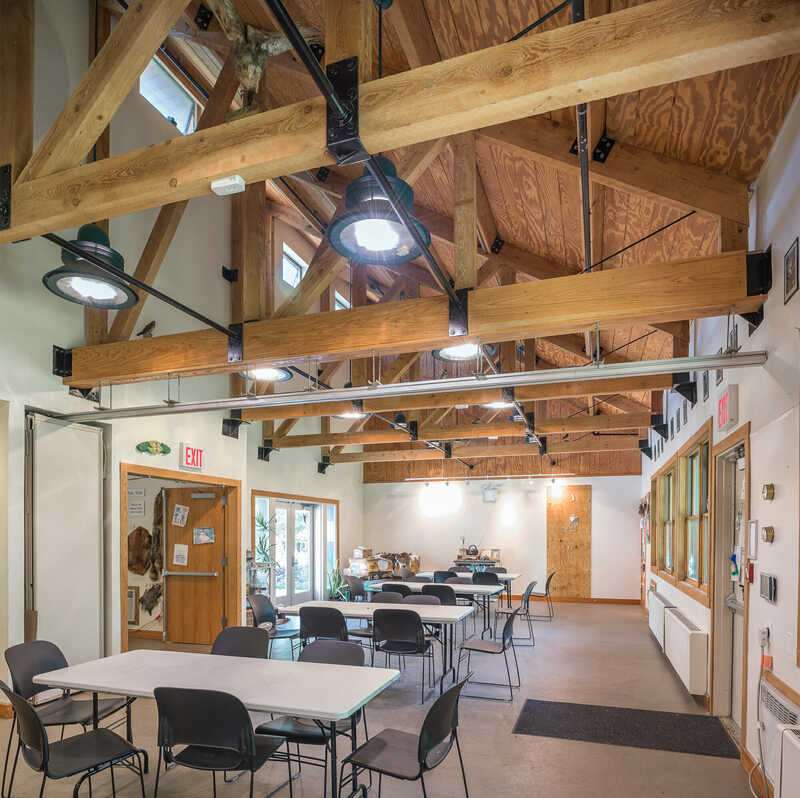 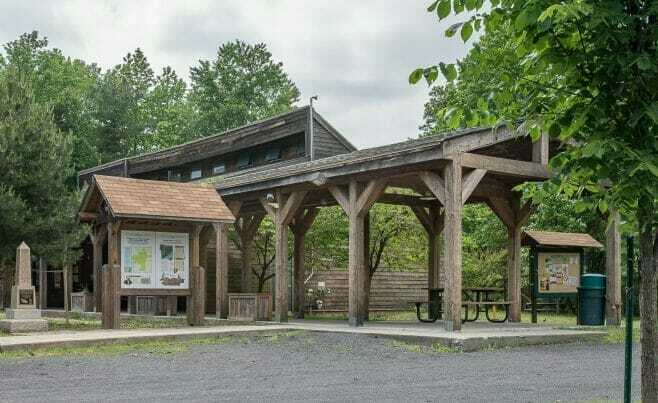 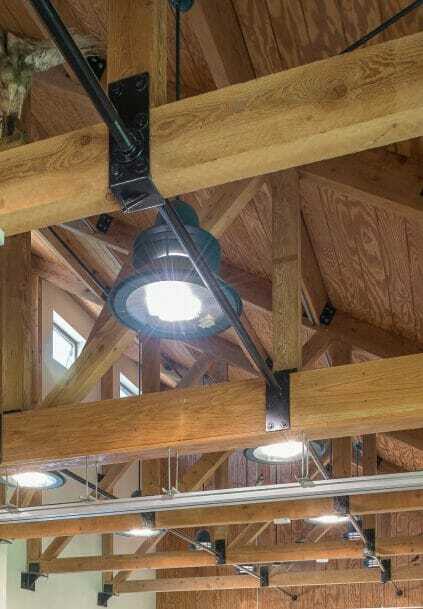 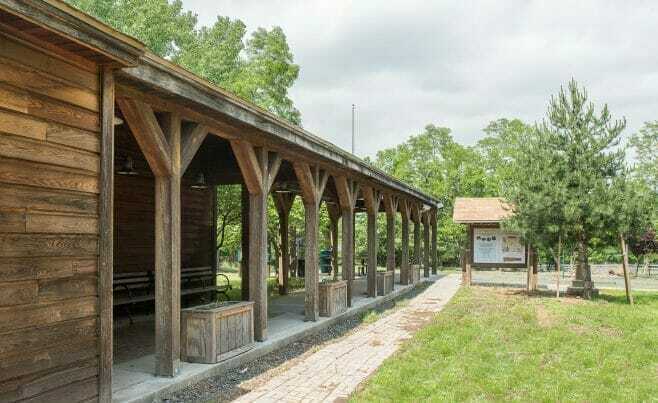 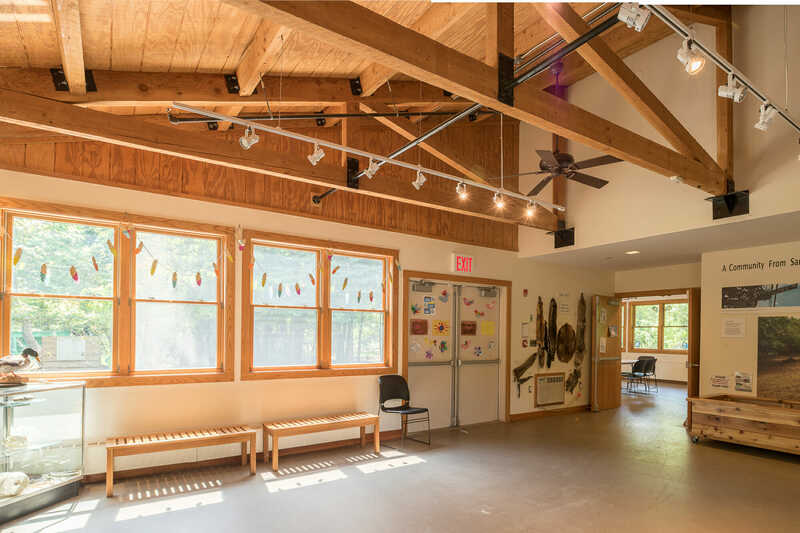 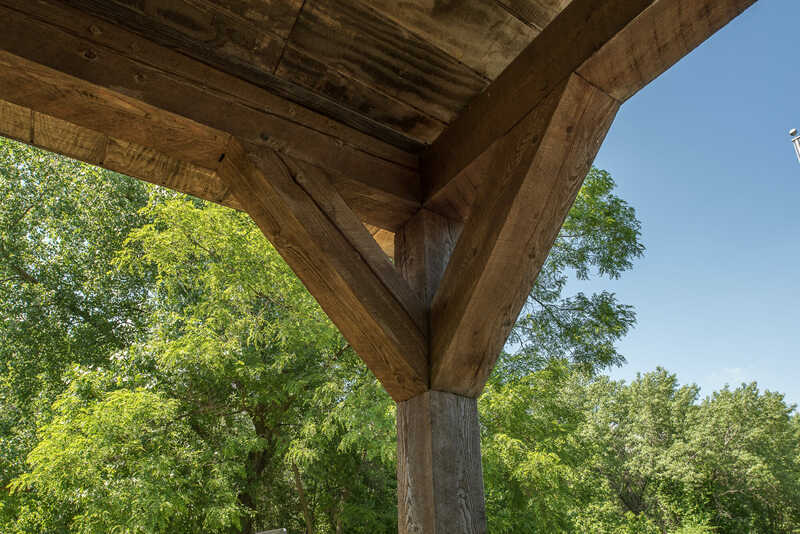 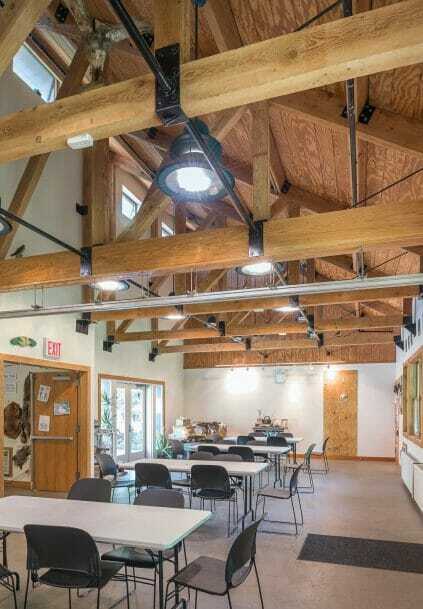 Vermont Timber Works constructed a visitor center for Clay Pit Ponds State Park in Staten Island, NY. 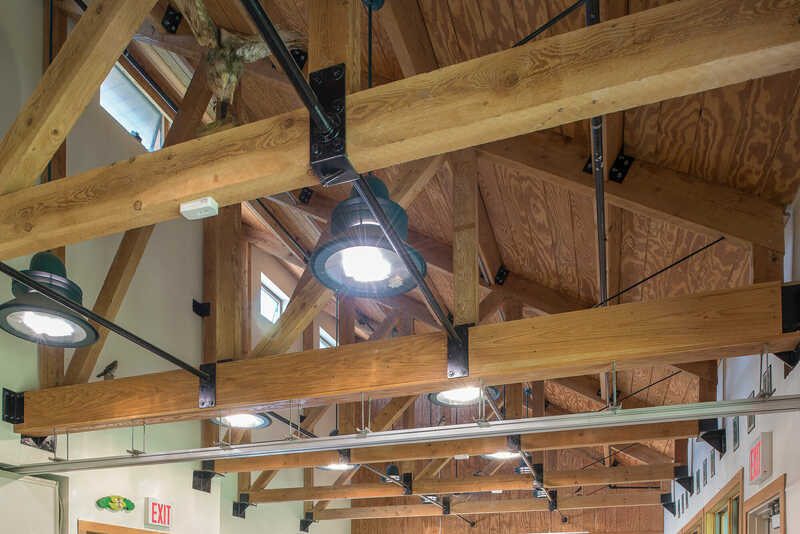 We worked with Mega Builders Inc on this project. 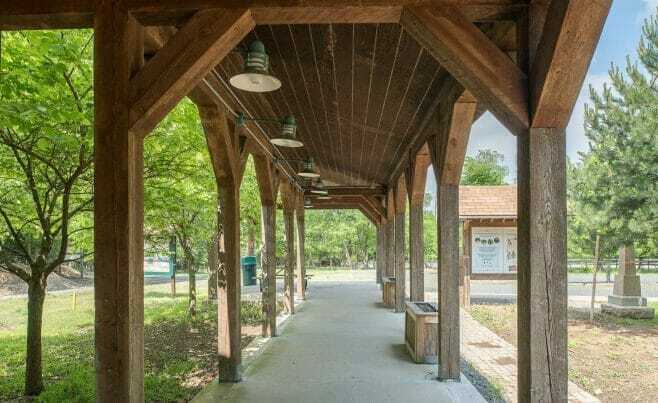 The building is located in the park, which is a 265 acre nature preserve. 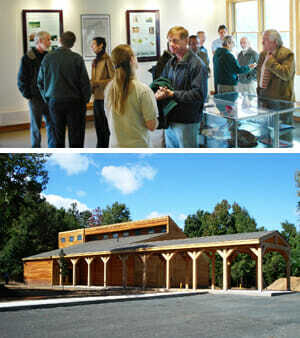 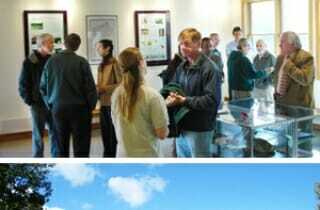 The timber frame visitor center offers exhibits and environmental education. 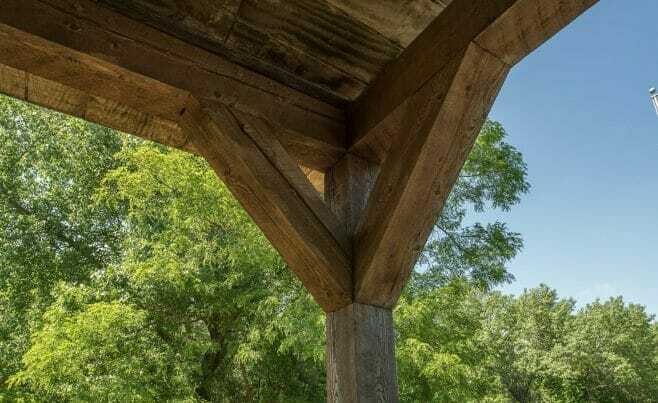 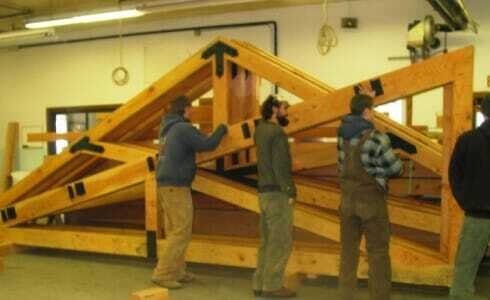 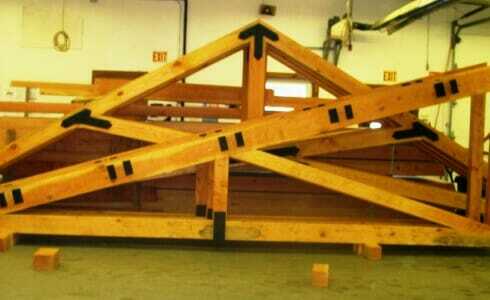 The frame has shed style roof trusses and king post trusses made with douglas fir.